The hardest thing about being a mother is trying to get your head around all the advice you’re given from every direction. Especially when a lot of the advice you hear seems to contradict other pieces of advice you’ve heard. That’s why we’re going to keep things simple in this article. 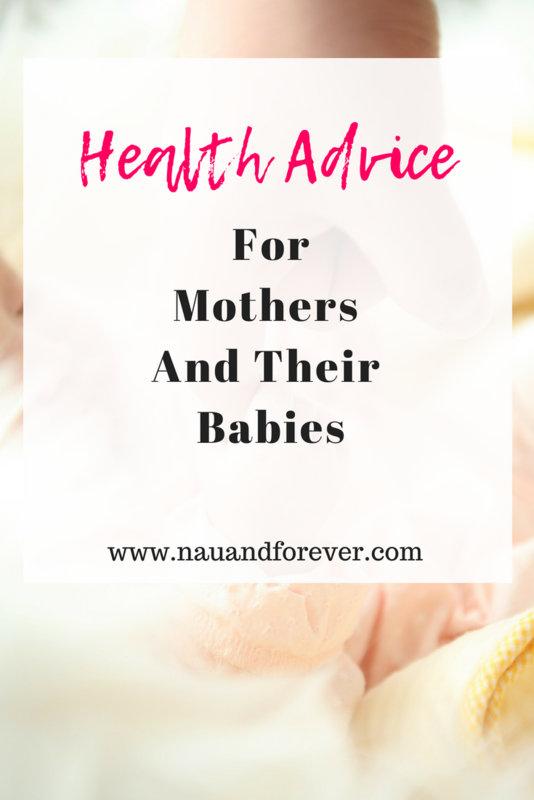 Check out some health advice for new moms and babies! Plunging into motherhood can be an overwhelming experience, but you’re more equipped to bring up this child than you realize. There are so many people out there who will tell you what you should and shouldn’t do, but there are only a few universal rules when it comes to bringing up a child. The rest depends on every individual baby and their mother. You’ll know best, but you have to give it time. That’s why it’s important to spend as much time as possible with your baby so that you can understand their emotions. This will help you synchronize with each other. In turn, that’ll keep you and your baby happy. It’s crucial in terms of mental health. Another important piece of health advice is to stay physically active. This applies to all people of all ages, obviously, but it’s particularly important for a new baby whilst they’re growing (and a mother who might be focusing more on her baby’s health than her own). Going for a stroll in your local park is a good way to stay physically healthy and teach your baby about things out in the open world. Of course, whilst walking is a great form of exercise for you and it’s good for your baby to experience new things, you might also want to consider some forms of exercise that directly involve your child. You could try out baby swim classes if you want to get your baby exercising frequently. It’ll teach them a new skill, and it’s a chance for both of you to socialize with people. Healthy habits are important for everyone, but it’s particularly important to get into the habit of sleeping well if you want to look after you and your baby. Babies have a need for structure, even if they’re growing and changing all the time. They might wake up constantly when you put them to bed, but you still need to stick to a consistent bedtime schedule. That consistency is crucial to their development. As for your own sleeping pattern, you need to make sure you’re resting as much as possible. Your health is essential to your baby’s health. If you’re not getting as much sleep as you should be during the night then that’s understandable. Babies cry (a lot). Perhaps a friend or family member could stop by during the day so you could catch a power nap. You could even nap at the same time as your baby so that you both wake up feeling rested. (Yes, I know how incredibly difficult this is, but at least give it a shot!) Remember, your health is just as important as the health of your little one. Looking out for your health and your baby is so important. It’s easy to become overwhelmed with all the well meaning advice but the most important thing is to follow your motherly instinct. This health advice for new moms can definitely make a difference in those early months with your new bundle of joy.